Coloring:Shown here with added hand coloring of highlights. Also available in original lithographic colors only. . 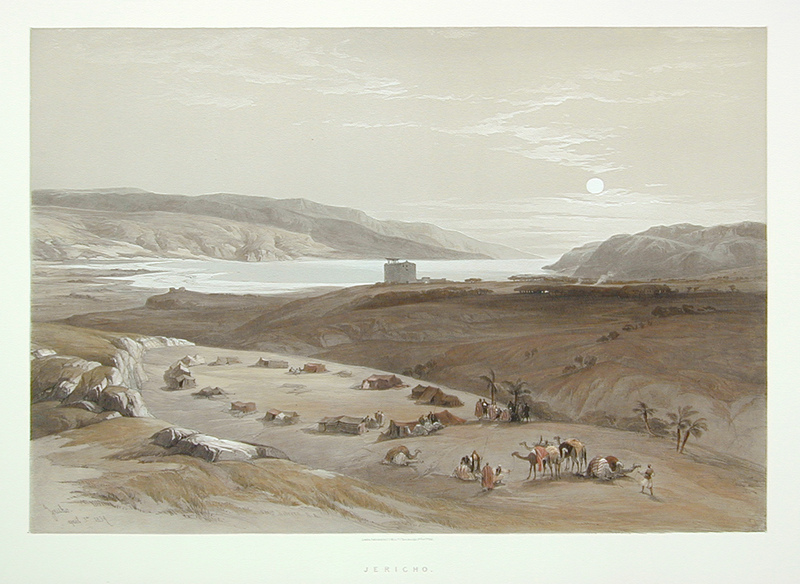 Comments: Roberts' party spent the night on the plain near the ruins of Jericho, along with many pilgrims who had come at Easter to bathe in the River Jordan. Roberts produced this atmospheric drawing of the moonlit night of their encampment. Price: $900 uncolored, $1,000 colored. Image: Approx. 13" x 19 1/2 "